In the last thirty years elites have been forgotten in social sciences but remembered as capitalism has come to reward them in ever more stark ways. – How to (re) conceptualise elites in present day capitalism? – What methods do we need to study elites? – How significant are elites as social and political agents? – How has financialisation shaped elite formation? – How are intermediaries important? – What about cultural elites? In pursuing these common issues, the book includes empirical studies of the UK, Canada, Greece, France, as well as various international institutions. A wide range of methods, from survey analysis through social network analysis, ethnographic research and documentary analysis is used to make this the most wide ranging and ambitious engagement with elite studies to have been published for many years. 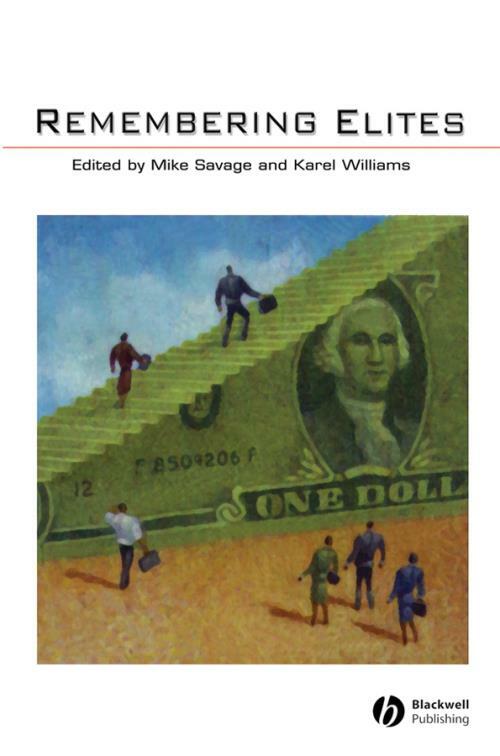 Introduction: Elites: remembered in capitalism and forgotten by social sciences: Mike Savage (University of Manchester) and Karel Williams (Manchester Business School). Taking stock of elites: recognising historical changes:. 1. Modes of power and the re–conceptualisation of elites: John Scott (University of Essex). 2. The corporate elite and the transformation of finance capital: a view from Canada: William K. Carroll (University of Victoria). 3. Representing the corporate elite in Britain: capitalist solidarity and capitalist legitimacy: Michael Moran (University of Manchester). 4. Keyser Süze elites: market populism and the politics of institutional change: Paul du Gay (Warwick Business School and Copenhagen Business School). Money, finance and business elites: dynamics and outcomes:. 5. Capital theory and the dynamics of elite business networks in Britain and France: Charles Harvey (Newcastle University) and Mairi Maclean (Bristol Business School, UWE). 6.Central bankers in the contemporary global field of power: a 'social space' approach: Frederic Lebaron (Uuniversity Picardie–Jules Verne). 7. What do heads of dealing rooms do? The social capital of internal entrepreneurs: Olivier Godechot (CNRS, Ecole Normale Supérieure). 8. Everything for sale: how non executive directors make a difference: Julie Froud (Manchester Business School), Adam Leaver (Manchester Business School), Gindo Tampubolon (University of Manchester) and Karel Williams (Manchester Business School). Cultural elites and consumption of elites:. 9. The end of the English cultural elite? : Dave Griffiths (University of Manchester), Andy Miles (University of Manchester) and Mike Savage (University of Manchester). 10. Elite consumption in Britain, 1961–2004: results of a preliminary investigation: Shinobu Majima (Gakushuin University) and Alan Warde (University of Manchester). 11. A culture in common: the cultural consumption of the UK managerial elite: Alan Warde (University of Manchester) and Tony Bennett (The Open University). 12. Eating money and clogging things up: paradoxes of elite mediation in Epirus, north western Greece: Sarah Green (University of Manchester). "Brings together an interdisciplinary team of contributors including sociologists, anthropologists, political scientists and management researchers."